Only spawns near areas with lava pools and rivers of lava. got my acheive for dreanor safari and time to open a pet store achieve all in one last rare scuttler! woohoo! As of Legion, you can now find these guys all along the beaches of Stormheim. Got a rare at 33.85, 43.83 just east from Bladespire Fortress, Greymane. If you are confused about the exact location at Bladespire Citadel like I was, heres a tip. Ignore the area where the ogres are camped and the lava areas. Instead, run around the snowy outside perimeter of the castle until you find a path that wraps around the backside of the castle and weaves between huge walls of rocks. You will see tons of Icespine Hatchlings on this path, follow them up the hill until you are just about to reach the top. 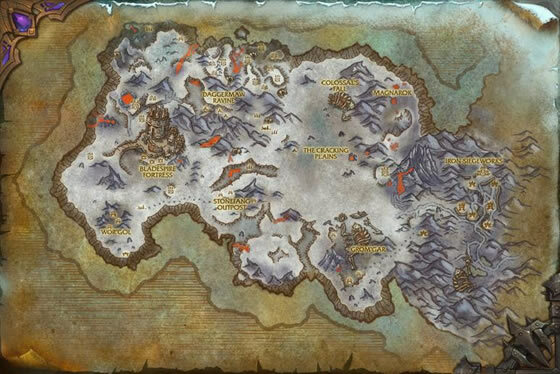 Ironclaw Scuttlers are located here on the snowy path. Best place is to the East of Bladespire Fortress. There are around 5 spawns just out of the Fortress and more appear on the ledge of the cliff as you go down the path. 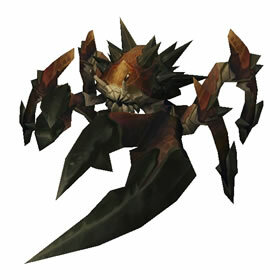 There are a lot of other pets here too, but the Scuttler will not appear as a second/third. That being said you'll want to clear some as it seems to reset the spawns of the Scuttlers. I found a few towards the back of Bladespire Fortress, there's a little path that winds around towards the back. There were about 5, I battled them all in hopes for a rare, ended up settling for an uncommon for the time being. They have a slow respawn timer I've noticed, I battled everyone that spawned and it would take about 4-5 minutes for another one to spawn. I may go back to try and search for a rare again! Saw about 10 or so from the path that starts at the back of bladespire fortress at 31,35 and goes down to the small lava pool at the south east of the fortress. Several common ones at H/H and a few poor quality ones at P/P. Apart from capturing one H/H scuttler I left the rest for others. I have been looking all over the lava pools with no luck. But then I stumbled across three of them in the mountains east of the Bladespire Fortress (33,38) and two at 32,34. All the P/P build and all of poor quality - with a stroke of luck I even got a Flawless Battlestone after catching one. Still not sure what triggers their spawn. I found several in one day, and killed them all looking for the right breed. I've returned to those locations numerous times throughout the day, and have yet to see more. Contrary to the a post on wowhead, they do not share a spawn with fire-proof roaches. I say this because the lacations I found Iceclaws have zero Roaches. My guess is that the're on a long re-spawn timer. If not, then it's some other condition or mechanic under which they spawn.